Lonely this New Year's Eve? 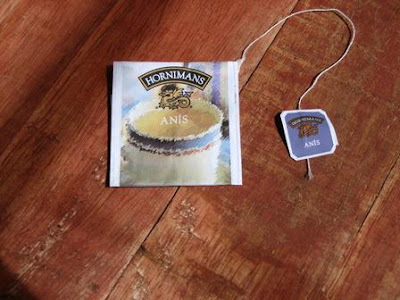 Maybe you could use a Horniman's Anis. F___ them. I'm not buying any more CDs from RIAA members. Indie labels and band-produced CDs, sure. But I'll be damned if I spend one more dollar supporting the evil RIAA. The essence of Minsky’s [Financial Instability Hypothesis] is that stability is destabilizing because capitalists have a herding tendency to extrapolate stability into infinity, putting in place ever-more risky debt structures that undermine stability. Minsky had that exactly right, I think. McCulley, not so much. He's great at describing what's happened in the rear-view mirror, but he hasn't made any significant forward-looking calls. I went to a lunch where he spoke more than a year ago, and I pressed him on the unsustainable nature of Greenspan's serial bubbles. He seemed to agree with the premise of the question, but had no appreciation for the magnitude of the fallout that was to come. He's stubborn, stupid, and suicidal as a lemming. When Jennifer and Bobby Post traded in their 2001 Chevy Suburban last year for a shiny new Ford F-350 turbo diesel with an extended cab, it seemed like a great deal. Even though they still owed $9,500 on their SUV after the trade-in value, they didn't have to put a penny down.The dealership, near the Posts' home in Victorville, made it easy; it just added the old debt to the price of the new truck and gave the couple a seven-year, $44,276 loan. Surprise! Nicole Kidman, 40, is fertile as a teenager... now that she's married to a straight guy. "New Jersey faces some of the nation's highest HIV rates among women." Today the LA Times reports something we told you almost a year ago: people with pay-option ARMS on underwater houses will stop paying their mortgages. That's why we call them put-option ARMs: the buyer has a free option to put the underwater house back to the bank! No money down, home values dropping, payments increasing -- hmmmm.... what to do???? Only the truly stupid would continue making mortgage payments on a negative-equity house. And only the truly stupid would have written these loans to buyers who had no skin in the game in the first place. Apologies? I knew he was a no-good, tax-hiking, nanny-stater who raised his son to torture animals, but I had no idea he was capable of this. Sounds like Tiger Dinner Boy was taunting the tiger, throwing things at it and dangling some tasty legs into the cage. Labor camps for the elderly. It's about time. Greedy senior citizens think they can loaf just because they've paid off their mortgages. Well, I've got news for them. We're going to raise their property taxes. And if they can't or won't work, we'll throw their asses out in the street. California Supreme Court: when a Jew compares another Jew to Hitler, the statute of limitations still applies. "How do you think a person feels who lives through the Holocaust and then the president of the Jewish Community Federation calls him Hitler?" Lipner, who was in Nazi-occupied Romania during World War II, said Monday. "I don't understand how, on a technicality, a person doesn't have a right to go to court and clear his name. "Statute of frickin' limitations? How about the First Amendment, Hitler? Back in my day, when somebody made a movie, it was supposed to have a point, dammit! That's decidedly not the case in No Country for Old Men, which has lots of great scenery, acting, and action, but absolutely no point. It was very well made, and critics are calling it a masterpiece, but the problem is the story. There's just not much there. It's like Michelangelo spending years painting the Sistene Chapel to illustrate some guy walking into a bakery. Old Zeke will probably like it. He liked Magnolia, a similarly artful and pointless movie. The moment we've all been waiting for: China stops buying Treasuries. For the past three years, China has been the financier that kept the American government well-funded. In 2004, it bought a fifth of the U.S. Treasury securities issued, a proportion that rose to 30 percent in 2005 and to 36 percent in 2006.But according to U.S. government figures, in 2007 China has reversed course and become a net seller of Treasury securities. The U.S. Treasury said this week that China had $388 billion of Treasury bonds at the end of October, or $10 billion less than it had at the end of 2006. Hang on to them hats and glasses. Merry Christmas, everyone. And I do mean everyone. You pagans, athiests, and Jews too. It's a secular, cultural holiday whose origins have nothing to do with the birth of Christ. Read all about it here. And don't let the fact that Christians have moved Christ's birth from Spring to December take away your Saturnalia joy. I've been sick the past few days, first with what I thought was the flu, but by yesterday I was feeling bad enough that I decided to see a doctor. I was directed by my HMO to an urgent care center. As I pulled up to the address, I knew the building well. It was a classic old San Diego strip joint that had closed recently. The signs had been replaced, but the cheesy/flashy design of the building belied its prior use. I wondered what kind of treatment I was in for. I expected something along the lines of Dr. Nick. To my great relief and surprise, the staff was excellent, from the receptionist to the nurse and the doctor. Everyone was extremely courteous and efficient. Within an hour, they had me diagnosed, pumped full of 'roids and antibiotics, and on my way. Yeah, this is what we need in the White House. 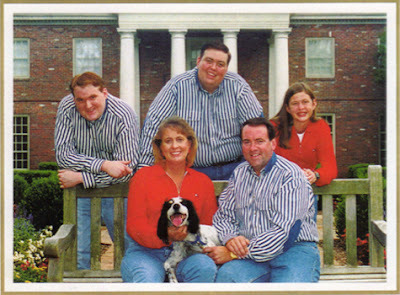 No wonder his son tortured a dog to death. You would too if your dad made you dress like that. One of Mike Huckabee's chief advisers has just attempted to clarify the Arkansas Governor's apparent equating of homosexuality and necrophilia. Opposite ends of the spectrum? Which one is at the bad end? And does it help if the body is still warm? If you're trying to send a subliminal message to the religious right, it's supposed to be subtle. Get it? Subliminal. Subtle. This is about as subtle as a punch in the face. And yet he tries to deny it. Patrick.net is a housing status website that compiles the day's housing related articles in one easy spot. I have read literally hundreds of articles linked by Patrick. It's a great site! Today he has published letters that folks could use to email or mail to Senator Boxer one of the California Senators. They state what I have already emailed her about and I recommend the letter to anyone supporting this absurd "homeowner" bailout. I want to offer one point about the issue - the entire theme of the housing and economic debacle is about creating an unsustainable economic reality. The housing market inflated causing the economy to inflate at levels that were not reasonable. And I wonder if Senator Boxer herself is fighting an unsustainable battle. Um, Mr. Greenspan, if we bail out those homeowners who borrowed beyond their means then does that send the message that everyone should spend beyond their means? If everyone spends beyond their means does that make for a healthy, sustainable economy? Does it really stop this process from dragging out? How's that work? Schwarzenegger's maniacal spending rampage ends badly. Schwarzenegger, who was elected to replace the spendthrift Gray Davis and "tear up the credit card," has instead decided to become the most reckless spender in California history, increasing spending 40 percent in just four years. In today's news, Dr. David Kessler was fired as dean of the UCSF medical school. Kessler claims he uncovered financial irregularities and was fired for being a whistle-blower. What's the truth of the situation? My money is on Kessler. He's got a long and high-profile career in public service. And the University of California has a long history of illegally fleecing taxpayers and students to line the pockets of administrators. Tough time finding gift ideas this Christmas? Give your loved ones the gift of freedom. Donate to Ron Paul. Tomorrow, Sunday December 16, is a money bomb day in celebration of the Boston Tea Party. Please give as much as you can. Why hold back your dollars? Bernanke is going to turn them to toilet paper anyway. The Illinois attorney general launched a probe into the lender's business practices and may expand the investigation to examine how homeowners were approved for mortgages with payments they were unable to afford. "We're looking at why people who appear to us to not be able to afford the loans they're in are in these loans and how Countrywide contributed to that," said Deborah Hagan, chief of the attorney general's consumer protection division, on Thursday. A California probe is also under way, a state official familiar with the attorney general's investigation into mortgage lending practices said late Thursday on condition of anonymity, citing the confidential nature of the investigation.Better late than never, I guess. The Wall Street Journal says three times as many lawyers suffer depression than the population as a whole. Two-thirds of 1,500 Oregon attorneys surveyed by the Oregon Attorney Assistance Program said they'd had no exposure before law school to the day-to-day life of a lawyer; if allowed to start over, 30% said they'd choose a different field. but mostly what I want from you. Citigroup's new CEO brings SIVs onto balance sheet. Nice move, Vik. Nice to know that you're a Varones reader and take the advice to heart (unlike Verizon and apparently unlike Bank of America). Sleazy Sandy Weill never would have done that. And timid Chuck Prince refused to. A little honest accounting is a good first step in resolving the current credit crisis. My new company offers the new Roth 401(k). The Roth 401(k) has been around since 2006, but many companies still don't offer it. It's a great program. You contribute after-tax dollars, and then your money grows tax-free forever, and withdrawals are tax-free. The limit is $15,500 per year, like traditional 401(k)s, but $15,500 after-tax is equivalent to about $23,000 pre-tax in a high-tax state like California, meaning the Roth effectively allows you to contribute much more. Further, many dual-income families exceed the income limits to use Roth IRAs. The new Roth 401(k) has no such limits, so it's the only way for high-income families to get money into Roth accounts. The Devil Came on Horseback. It's the documentary of an ex-Marine who becomes a monitor for the African Union of the atrocities in Darfur. It's also an indictment of the cowardly and ineffectual U.N. If there was ever a reason for an organization like the U.N. to exist, it would be Darfur. If the U.N. can't or won't do anything about Darfur, it's time to abolish the U.N. and replace it with something that's more than a bunch of European bureaucrats dining out in New York on the U.S. taxpayers' dime. Like, oh my god, like apparently one of like the students from like the San Fernando Valley beauty school apparently like doesn't like agree with the FED's cut of 25 bps ok. She apparently says the Fed stayed Neutral today with the CUT. Like I said to Cindy and Buffy, It wasn't enough. Obviously she was hired for other talents then financial market analysis. My message to her "Hey woman-used-to-being-on-her-knees, the banks you mentioned, LIKE Countrywide, LIKE Washington Mutual F#CKED THEMSELVES. It's not the government's job to bail them out at the cost of, literally, inflation." The FED didn't do enough, LIKE WHAT....EVER! Who will Ricki Lake and Jerry Springer endorse? I've posted several times since May on the story of Bakersfield's David Crisp, aka Casey Serin South, a waiter-turned-jetsetting-multimillionaire-realtor. Now SLNM.OB recaps the story. And there are more recent developments: the bank took his mansion onto its books after there were no bids at $1.8 million (the loan was for $2 million). And the state has put a lien on Crisp and his wife for back taxes. Good luck with that -- blood from a stone. No home ATM to fund lavish Christmas spending this year? No problem! Just cash out your 401(k)! Idiots, Liars and Thieves - We want to help!!!! BAILOUT!!! If you are one of the credit challenged borrowers who bought a teezer loan that was sure to fail then today is your lucky day. If you are one of the folks who took out a teezer loan that was beyond your means but you have a good credit score then sorry, no soup for you. "The freeze may apply to mortgages issued between January 2005 and July 2007 that are currently scheduled to reset between January 2008 and July 2010, said a person who has seen a draft proposal. Borrowers whose credit scores are below 660 out of a possible 850 and haven't risen by 10 percent since the loan was issued will be given priority. Those with scores above 660 will be more closely scrutinized to determine whether they are eligible or must continue making payments under existing terms, said the person. The message here is reward the irresponsible and the unethical. I cannot believe how contrary to what I thought America stands for this is. Break out the Champagne, No Recession!! PHEWWWWW!!!!!! !That was close. I'm all in on Financials, Home Builders and Mortgage Lenders. I'm actually going to cash in one of my credit card checks at an APR of 24% so that I can put that money in to Countrywide. I'm sure the return will be greater then 24%! So who exactly does our President and our Congress represent - the idiots and the crooks in the real estate industry, OR those who are educated and fiscally responsible? Those who save and don't over extend themselves because they understand the value of money and hard work? Of course that is a rhetorical question because our President is an an idiot and a crook. As someone generally sympathetic to Fox News and thankful for the alternative to the horrible left-wing monolith of the New York Times and the broadcast networks, it grates on me that Fox News continues to use the phrase "homicide bomber" instead of "suicide bomber." The phrase "suicide bomber" is accurate and descriptive because it explains that the terrorist intentionally killed himself in the act of terrorism. A "homicide bomber" literally means anyone that kills with a bomb, including those that detonate bombs remotely and live to plant more bombs. The only bomber who's not a "homicide bomber" is one whose bombs don't kill anybody. The F-16 is, quite literally, a homicide bomber (to quote Michael Franti). Would someone with a room temperature IQ at Fox News please stop this stupidity? It's like hearing a stubbornly ignorant President mispronounce "nuclear" over and over and over. ... then who's gonna save me? Australian Prime Minister won't let Environment Minister Peter Garrett speak about the environment. Tomorrow, December 5, is Repeal Day, the day we celebrate the 21st Amendment which allows adults to drink alcohol. Please reflect on this as you consider whether to vote for nanny-staters like Mike Huckabee or Michael Bloomberg. Do I get a rifle if I open an account? I've moved to San Diego for a new job. The move means a few changes for the blog. First, fewer kook pictures. San Diego doesn't have Nancy Pelosi, Frank Chu, or the Folsom Street Fair. The second change is that I won't be able to recommend individual stocks any more. I'll still post a year-end report card on my picks (last year's is here). Today I ran the hills of Torrey Pines at sunset. It was a homecoming. I've been away for years and seen six continents since, but today I returned to the trails where I first learned to run. Farewell, beautiful Presidio. Farewell, Critical Mass. Farewell, rude blonde manager woman at the Civic Center Countrywide office. Farewell, Magnolia Pub on Haight. I'll be back to visit.